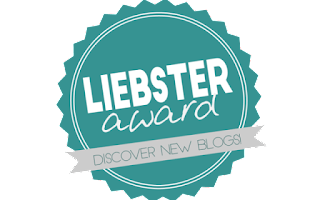 I was nominated by the lovely Amy from amyquitecontrary.wordpress.com for the Liebster award last week. I must admit it's very exciting to be nominated for an award, and I am very grateful for the nomination so thank you Amy! 2. Show off your award on your blog. 4. Post 11 random facts about yourself. 5. Nominate 5-11 bloggers with less than 1000 followers. 6. Create 11 questions of your own for your nominees. 1. Who has has the biggest influence on you? Blog wise, Zoella (aka Zoe Sugg) was the main reason I got interested in makeup when I was about thirteen, and her videos and blog posts still inspire me in my own posts! I trust her recommendations a lot. Life wise, Sierra Boggess and Carrie Hope Fletcher. I want to work in musical theatre one day, so of course I look up to two wonderful theatre actresses. Aside from that, though, they have fantastically positive outlooks on life, and watching them share this positivity has literally made me a happier person in myself! 2. When and why did you start a blog? When I was about fourteen, I started my first blog to share my crafting projects. However, I got bored of that one and started WhoopsItsHannah and few months ago to share my love of makeup and beauty with the world! 3. What does writing mean to you? It's an outlet for my creativity and interests. Blogging is a good way for me to interact with people with a similar interest from the comfort of my laptop. And I like to think that some of my tutorials could make someone feel really good and confident about themselves, which is a lovely thought! 4. Is creativity important to you? Immensely. I'm on an Art and Design course at the moment because I love to draw and paint. I used to run a craft blog, I still love to sew, I write fiction stories as well as blog posts, and it takes some creativity thinking up new looks makeup-wise! My creativity probably fuels everything I do, to be honest. I really like Pride and Prejudice by Jane Austen. It's one of those books you just have to read, but I wasn't expecting to enjoy it as much as I did. I'm also a huge Twihard - The Twilight Saga is great, I don't even care! Maggie Stiefvater is one of my favourite authors. Her 'Wolves of Mercy Falls' trilogy is well worth a read. "How could a bird that was born for joy sit in a cage and sing?" - William Blake. C'mon, don't tell me that's not beautiful! 7. What are three of your favourite things to do?Spending time with friends? Going for a walk in nature? Clothes Shopping? Gaming? Write when I'm on a roll - there's no better feeling than your fingers flying over a keyboard, words flowing naturally. It's great. Walking through the woods near my house - it's a very tranquil space to go to think and relax. Applying my makeup - this one's probably pretty obvious considering I've got a beauty blog, but there's something very relaxing and comforting to me about my routine of putting on my makeup! 9. If you could travel anywhere in the world, where would you go? Disneyworld Florida - it's always felt like home! Or Jamaica because I saw an episode of 'A Place in the Sun' where they looked at properties in Jamaica and I've wanted to go ever since. 10. What is the hardest thing you have ever done, or the biggest obstacle you have faced? Applying for a musical theatre course for next September - it's amazing how scary it is when you actually set your dreams in motion! I'm a very positive person, which lifts me up and stops me trying to drag others down. I find it fairly easy to laugh at myself as I don't take myself too seriously. My creativity - I can do a lot when I'm inspired! 1. The first west end musical I saw was The Lion King when I was eight. I've wanted to work in the west end ever since. 2. I am ridiculously emotional. I once cried because I saw a cute dog and was hoping really hard that it was having a good day. 3. I named one of my two cats Lotte after the song 'Little Lotte' from The Phantom of the Opera. 4. So far, I have achieved Grade 5 on the flute. 5. I like to make dresses and skirts, and I'm always on the hunt for the perfect 50's style pattern! 6. When I was six, I broke my collarbone in York while pretending to be a princess. It's the only time I've ever broken a bone. 7. I can't ride a bike. 8. I spend most evenings wandering the house in a fluffy bunny onesie, complete with rabbit ears and tail. 9. I'm a massive 'Directioner' and have been since I was 13. 10. I have a scar on my forehead from when I tried spinning round a bar over concrete and decided to let go. I was about six at the time. 11. I bought a piece of fabric before Christmas that I have yet to use because I haven't found a dress pattern worthy of it. Jessica uses her blog to share lots of boards for inspiration for various outifts. Whatever occasion you can think of, What to Style has a post for that. She shares so many pretty bits and pieces it's impossible to not find something for you on her blog. Even just looking at this girl's blog makes me happy. She posts reviews of all sorts of lovely beauty pieces, as well as offering advice and just all-round relatable posts (I laughed out loud at her RBF post - the number of times people ask me what's wrong every day is overwhelming). Petite in Pearls is full of fashion, beauty and lifestyle posts. The photography on this blog is beautiful. Well worth a read if you're looking for outfit inspiration or even a recipe for limoncello! Cara's blog is full of style. She pairs bright colours, fluff and glitter, with chunky boots and fifty shades of black. The result is amazing. As well as inspiration for such a unique style, she also writes about mental health and feminism as well as various other topics (recently, a post involving cake caught my eye and made me very hungry indeed). I've been reading Amy's blog for about a year, and I'm still in love. She posts all sorts of lifestyle posts, from interior design and fashion wishlists to restaurant recommendations and travel posts. It's lovely to keep up with what she's doing. I'm not sure if it's a bit cheeky to nominate Beth as we're friends irl, but as Amy is my friend as well I figured it'd be fine! She posts her thoughts on a range of topics such as self absorption and the urge to write without knowing what you want to write about. Her posts may well make you think, so be sure to check her out. 1. Is this your first blog? When and why did you start it and any others you've had? 2. Where do you find your inspiration to write? 3. How long does it take you to write your posts from start to finish? 4. What are your hobbies outside of blogging? Are you a secret gamer or painter? 5. Name one thing that is important to you. 7. Who inspires or influences you? 8. Have you ever broken a bone? 10. What is one thing you wanted to do when you were younger that you either still want to do or have ended up doing? 11. Describe yourself (POSITIVELY) using seven words or less. Amy's blog 'Quite Contrary' is a very positive place. She writes lists of happy things and things she's been loving, as well as writing posts of the things she's been doing and thinking recently. 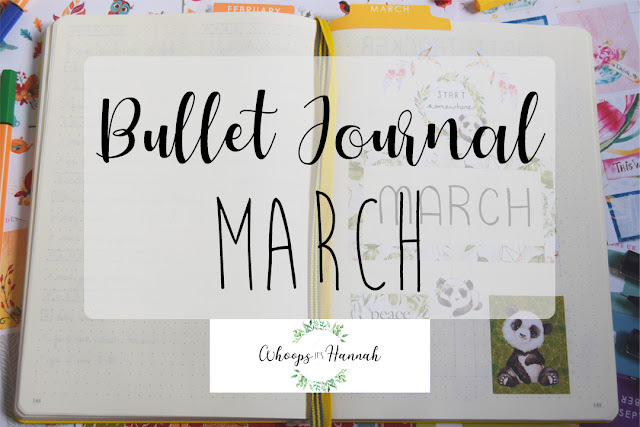 I loved looking at her art journal and look forward to seeing more posts like that soon! 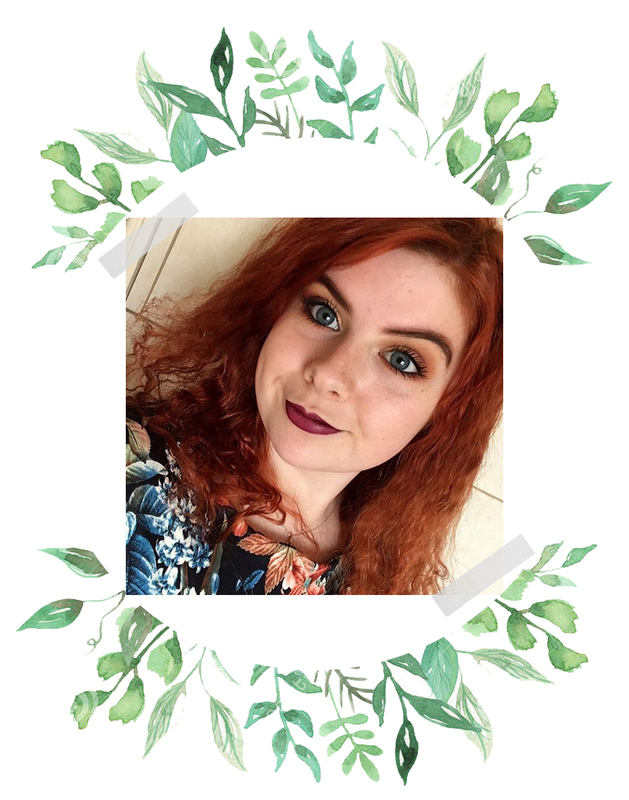 She's a very creative and lovely person, and definitely worth checking out if you haven't already! Thank you so much for the nomination + kind words about the blog Hannah! It means a lot!